In the late 1800s lived Lizzie Magie, a clever and charismatic woman with a strong sense of justice. Waves of urban migration drew Lizzie's attention to rising financial inequality. One day she had an idea: create a game that shows the unfairness of the landlord-tenant relationship. 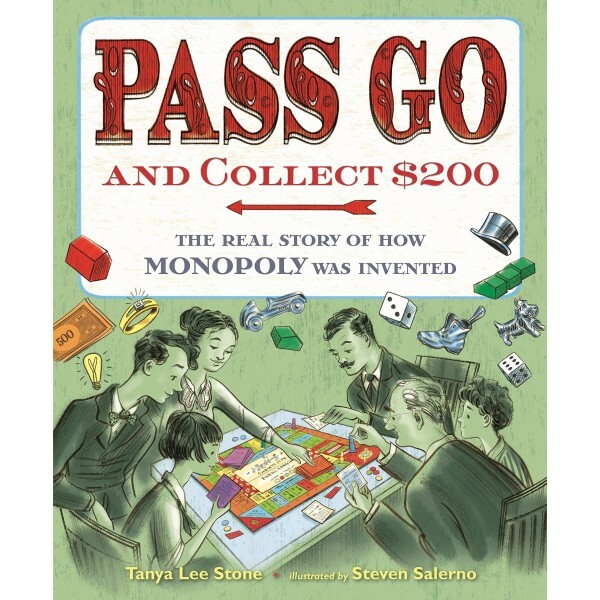 But game players seemed to have the most fun pretending to be wealthy landowners, and while she patented "The Landlord's Game" in 1903, she couldn't interest large-scale producers. Enter Charles Darrow, a marketer and salesman with a vision for transforming Lizzie's game into an exciting staple of American family entertainment: Monopoly. 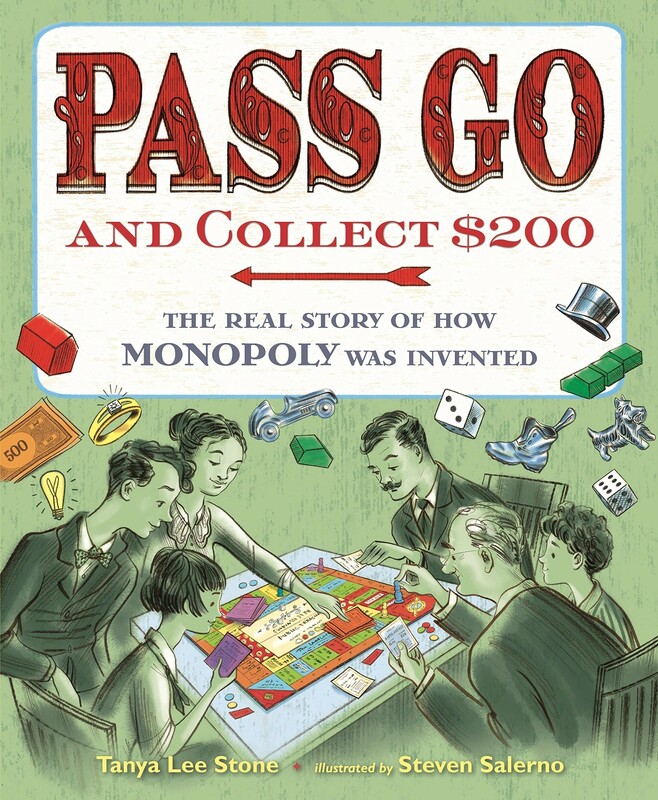 In the end, Parker Brothers only paid Magie $500 for the patent to her game, and never credited her as the creator as they promised. Boldness, imagination, and ruthless competition combine in this riveting picture book history of one of the world's most famous games.